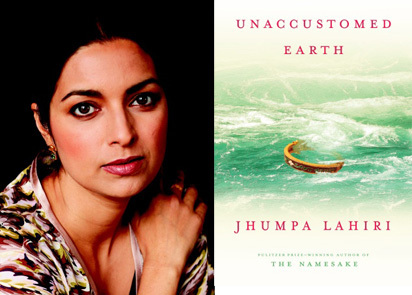 In the eight short stories included in Unaccustomed Earth, Jhumpa Lahiri continues to refine the talents she displayed in Interpreter of Maladies and The Namesake. Foremost among these is her expert touch when rendering the dull, aching misery of mourning and loss. Again and again, her characters brace themselves for the myriad shocks that make up a life, handling disappointment and disaster with equal poise. Throughout these tales, there is the sense that no matter how bad things are, they can always get worse. Not that these are disasters that would make the evening news. Lahiri’s earth-shattering events take place on a human scale, and no one is better at depicting the gaps in communication, the confusion, the misunderstandings that afflict people who care about each other but can’t quite connect. In the title story — the most carefully crafted of the eight in the book — Ruma, a young mother whose father comes to visit after her mother’s death, misinterprets his concern for her as disapproval; he, in turn, is too respectful to tell her that he fears she has chosen a path too similar to the one that brought her mother years of loneliness. In “Hell-Heaven,” Usha, the narrator, learns years after the fact of her mother’s desperate, frustrated attraction to a family friend, and examines her own childhood memories in a strange new light. Looking at a single situation from many angles is a Lahiri trademark. In “Hema and Kaushik,” a trio of intertwined stories, she describes two interlocked life trajectories using shifts in narrative point of view that might have been a clumsy and obvious clunk of a creative-writing exercise in lesser hands, but here is handled with a quiet, intriguing subtlety. Hema and Kaushik meet as teenagers when Kaushik’s family returns, for reasons unknown, from India to the United States, causing gossip and speculation in Hema’s family. They reconnect by chance, years later, when Hema, recovering from a long and disastrous affair with a married American, gives in and allows her parents to arrange a marriage for her. Wounded and cautious, she struggles to connect with her past through Kaushik, even as she suspects the slim hope he offers her is bound to evaporate. The same themes resurface in the other stories. In “Nobody’s Business,” a young woman struggles to build a life around an unfaithful, unreliable lover while fending off the Bengali suitors her family back in Calcutta persists in finding for her. In Hema’s tale, a similar situation ends in grateful capitulation: an arranged marriage for Hema after years of miserable, unstable involvement with a married man. In “Unaccustomed Earth,” Ruma, a young mother, struggles with her mother’s death and her father’s affair, much like Kasushik, in the “Hema and Kasushik” stories, who struggles with his father’s remarriage. A recurring thread through all the stories concerns the unreliability of documentation. Family photographs are analyzed for the coded subtext only the photographer or the people posing would know — details that are so easily lost or forgotten. In “Only Goodness,” Sudha, an older sister whose infancy has gone undocumented by her Bengali parents, carefully assembles the ephemera of her brother’s birth and babyhood “in a special album, with a blue denim cover because he was a boy.” When his life spins out of control in the face of his parents’ high expectations and blindness to his flaws, Sudha is left with the evidence of her failure to create for him the perfect, all-American childhood she dreamed of for herself. Kasushik is a photojournalist, yet he neglects to document the most pivotal moments in his own story; later, Hema studies the photos on his website, in vain, for evidence of anything personal. In “Hell-Heaven,” Usha studies photos of the family friend who was the object of her mother’s unrequited love, only to find the images unchanged, stubbornly unrevealing. It’s as if Lahiri, as a writer, knows too well the futility of careful observation, of devoted recording of details only to have them warped into grotesquery by the passage of time. Lahiri doesn’t flinch from the seriousness of her subjects, and there is no lightening of tone, no humorous interludes, no comic relief to leaven her tales. Yet these are not depressing stories: she gives her characters relief by protecting their dignity. She shepherds them gently through humiliations and breakdowns and loss with a tenderness and respect that gives the reader a hopeful sense that anything can be borne as long as we retain our humanity. The sadness that pervades the book rarely deepens into despair; when it does, it is despair remembered, unearthed from the sediment of life, to be cataloged and inspected with an archaeologist’s detached, scientific care. Lahiri keeps her language spare, but the stripped-down simplicity is deceptive. Her account of the details of daily life creates an accumulation of themes, like piles of colored fabric from which she plucks a color here, a thread there, to weave a pattern so complex that its intricacy eludes the eye at first glance. It is only in the final pages, when we see the very personal impact a global catastrophe has on the lives of two characters, that the subtle power of the design she has woven is revealed.